In his book Luminous Life, Dr. Jacob Israel Liberman integrates scientific research, clinical practice, and direct experience to demonstrate how the luminous intelligence we call light effortlessly guides us toward health, contentment, and a life filled with purpose. You can find the book on Amazon and earn more about Dr. Liberman at http://www.jacobliberman.org/. 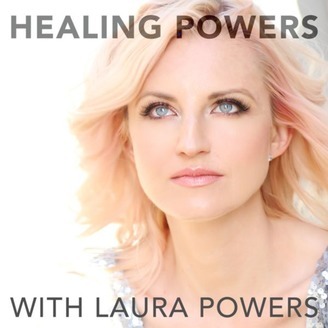 For more information about Laura and her work you can go to her website www.healingpowers.net or find her on Twitter @thatlaurapowers, on Facebook @realhealingpowers and on Instagram at laurapowers44. Healing Powers listeners can go to grove.co/healing for special deal on their all-natural cleaning product bundle.